When Ariane from Julius & Valentina, one of my favourite beauty bloggers, asked me if I wanted to get involved in her Holiday beauty drive for women in safe-houses, I said YES! As a blogger, I know too well how easy it is to get complacent about the amount of products we receive all year round. 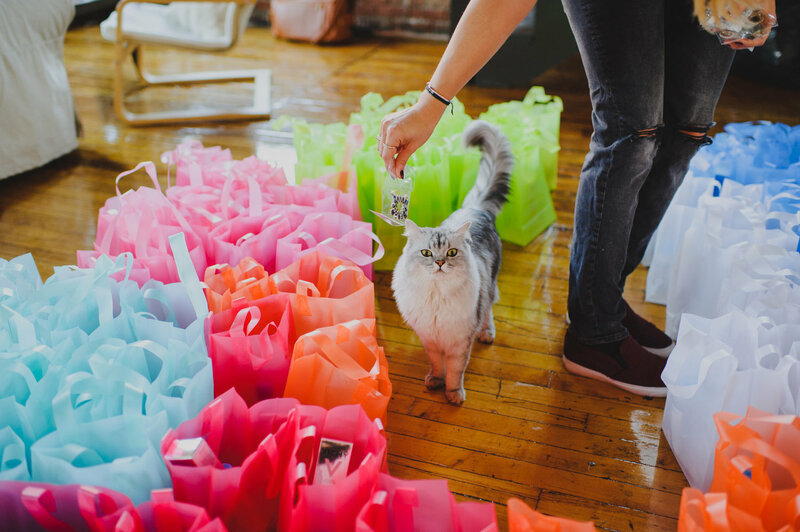 Last Sunday, to put things into perspective, I gathered some beauty products I wasn't going to use and went over Ariane's apartment to make beauty bags along with her friends Léa Bégin, Emilie Giotti and her darling cat Rico. "Too many of us are overwhelmed with work and life throughout the year and forget to do something, anything, to help people in need. The Holiday Season is that one time of the year, where no matter how busy (or broke) we are, we should be doing something...big scale or small scale. It's that one time of the year where everyone deserves a little love, attention, warmth and food...And it is up to us, the fortunate ones, to lend a hand. This year, I decided to gather hundreds of beauty products and distribute then to a few women shelters across Montreal." For the full story, visit Julius & Valentina's Holiday Beauty Drive Thank you to our sponsors & donors for your support.